Spirulina is a type of algae that's blue-green in color and contains an abundance of vitamins, minerals, proteins and antioxidants. Spirulina Powder from Thompson is an easy way to get the benefits of this superfood on a daily basis. 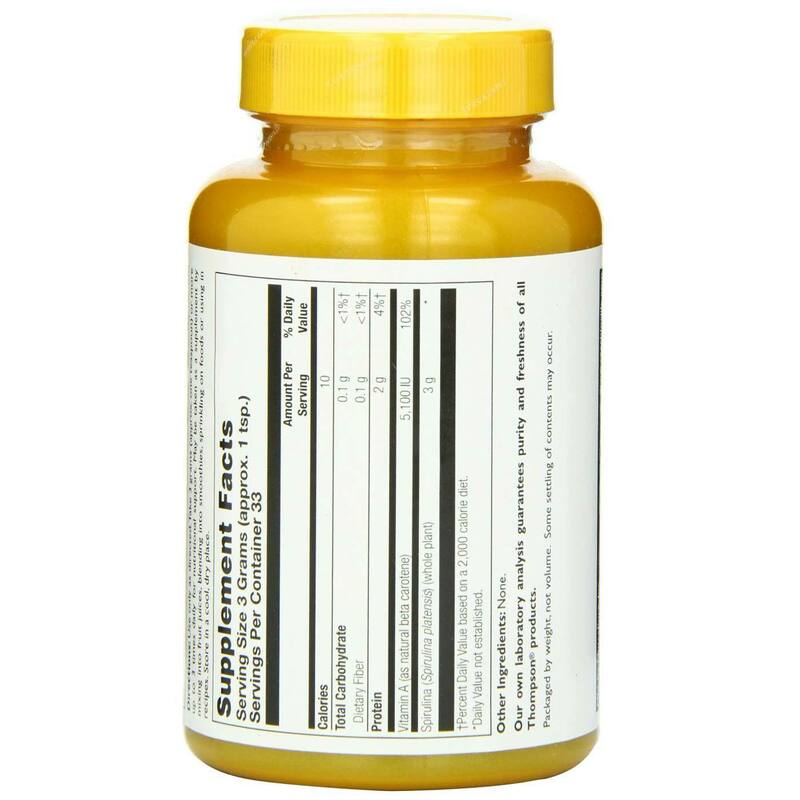 Thompson's Spirulina Powder is a 100 percent pure spirulina supplement that provides 12,500 IU of vitamin A, which supports the body's tissues, mainly the skin and eyes. Spirulina also protects the nerves and heart and helps to boost energy levels and the body's immune system response. 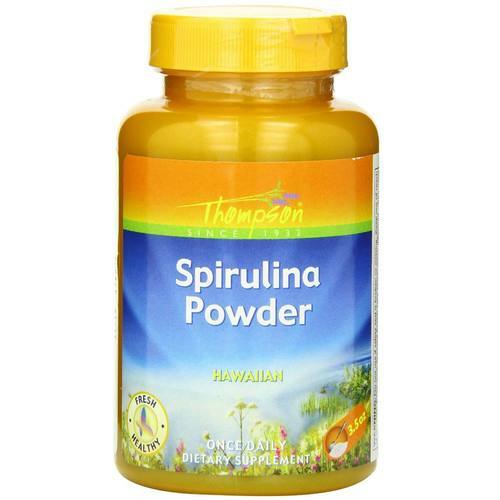 Stay energized and healthy with Spirulina Powder from Thompson. Try it today at eVitamins! 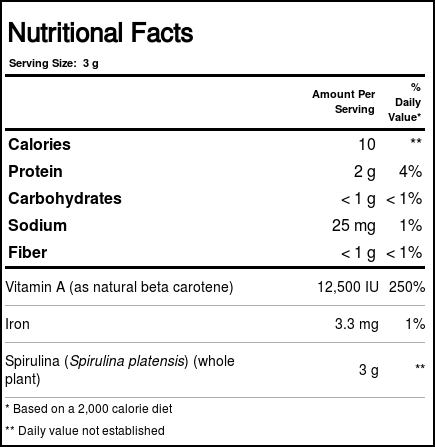 Recomendações de uso: Take 3 g (approximately 1 teaspoon) or more up to three times daily for nutritional support. May be taken as a supplement by mixing into fruit juices, blending into smoothies, sprinkling on foods or using in recipes.